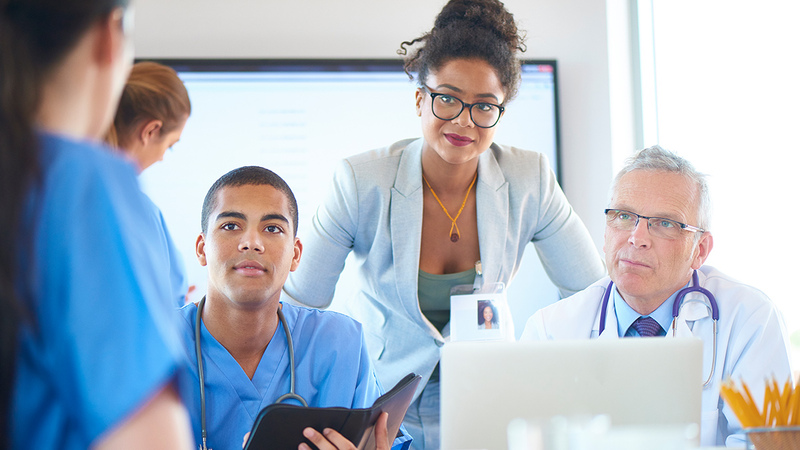 Healthcare work settings are challenging, and nurses and other personnel can be pushed to their limits in terms of tolerating frustration and stress. When kindness and compassion take a back seat to less healthy coping strategies, everyone suffers, including the culture of civility that so many of us crave. Healthy and productive work environments encourage civility, self-care, personal responsibility, and teamwork, and unhealthy toxic environments propagate the polar opposite. We must encourage the creation of healthy workplaces where all staff members feel cared for, and where everyone can perform their duties without recourse, recrimination, bullying, and aberrant behavior. Creating healthy and constructive work environments isn’t rocket science, but it certainly requires diligence and collective will to make it a reality. Healthcare employers and leaders can choose to take the easy way out by abdicating responsibility, yet a culture of civility is most often successful when the directive towards civility comes from the top, even as individual staff members naturally model this behavior on a daily basis. Physicians and surgeons are trained to respect and listen to nurses and other staff members. The value of staff from every department is constantly verbalized and reinforced – including food services, environmental services, etc. In terms of responsibility for creating a violence-free and healthy workplace for all, everyone bears some responsibility. Granted, the employing organization needs to step up to the plate and do the right thing by setting the stage for success, but every person must do their part by participating in creating a positive workplace culture. When considering how an organization or facility walks its talk or not, we want to see employers not just hand down lip service and policy statements – we want to see in-service trainings for all staff. Physicians and surgeons cannot be given a pass on such trainings because they bring in large sums of income for the facility – everyone must take part. Speaking of physicians, negative behavior or violence on the part of a physician should carry the same punishment as would be experienced by any other member of the team – there are far too many reports of physicians getting away with harassment and bullying because they were deemed untouchable by administration. If the #MeToo Movement has taught us anything, it’s that powerful men must not be allowed to run amok simply because they have power. We also want to see managers, supervisors, and executives who are in touch with the zeitgeist of the organization and staff – leaders should be actively listening to employees, acting on reports, treating every complaint as valid, and using their position as a bully pulpit for teaching and guiding staff regarding appropriate behavior. For nurses who have experienced or witnessed bullying, the onus is on them to document what they have seen or heard, and use the systems in place to report such behavior immediately. The culture must be such that nurses feel safe seeking corroboration and documentation from peers, and coming forward with allegations and complaints. There is both collective and individual responsibility for creating and maintaining a positive, violence-free, and healthy workplace culture, and no individual is immune from that responsibility. Nurses and other healthcare workers should feel safe at work. Workplace culture impacts individual wellness, mental and physical health, and overall career satisfaction and success. We enter the healthcare field in order to serve patients and the greater good. A bullied nurse or harassed case manager cannot bring their best work to the bedside when they are partially focused on their own safety and well-being. Healthcare employees must be free from such worries and anxieties, and patient care must not be negatively impacted due to such egregious circumstances. While staff can each take individual responsibility for creating a positive workplace culture, the buck stops with administration, executive leadership, human resources, and management. If these parties choose to create an enjoyable and violence-free workplace experience for their employees, everyone wins, including patients. Choosing non-violence and positivity is indeed a choice, and it is one worth making day in and day out. Many lives depend on our choices, and as healthcare professionals serving the trusting and vulnerable public, we have a responsibility to choose and act wisely.